Provide comfort for the family of Hideko Ribaudo with a meaningful gesture of sympathy. Hideko Ribaudo, born June 19, 1927 in Sendai, Japan died January 3, 2019 in Kingwood, Texas at the age of 91. Hideko is preceded in death by her loving husband, Nicholas. 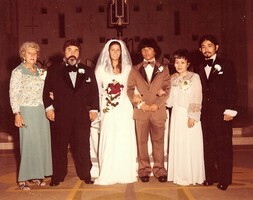 Hideko is survived by her sons, Eugene and Mark and their spouses, Francesca and Christine; sister-in-law, Marion and her spouse Peter; sister-in-law, Ethel; grandchildren, Heather, David, Sarah and Rocky; nieces Mary, Sally, Geraldine and Kathleen; and nephews, Randy, James and Michael. 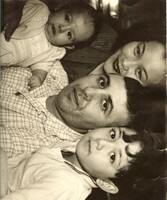 Hideko will eternally be remembered for being a strong and loving wife, mother and grandmother. She was private, affectionate, caring and generous, and always willing to give more than to receive. She will be deeply missed by her friends and family, but will forever be with us in our hearts, thoughts and prayers. To send flowers in memory of Hideko Ribaudo (Yamazaki), please visit our Heartfelt Sympathies Store. We encourage you to share your most beloved memories of Hideko here, so that the family and other loved ones can always see it. You can upload cherished photographs, or share your favorite stories, and can even comment on those shared by others.